Monsters of the Amazon has been awarded two prizes by AMPS!!!! I feel validated by these awards. Those hours of footage from 1999 were completely un-watchable, yet I didn't want to throw the memories away. This off-the-wall storyline became a crazy, psychotic, but fun vacation video. You could do the same thing! This blog is slowly pacing its readers through my videomaking history; most recently we have been examining edits from 2004. There's lots more to come, but maybe you've already found some usable ideas for your own movies? 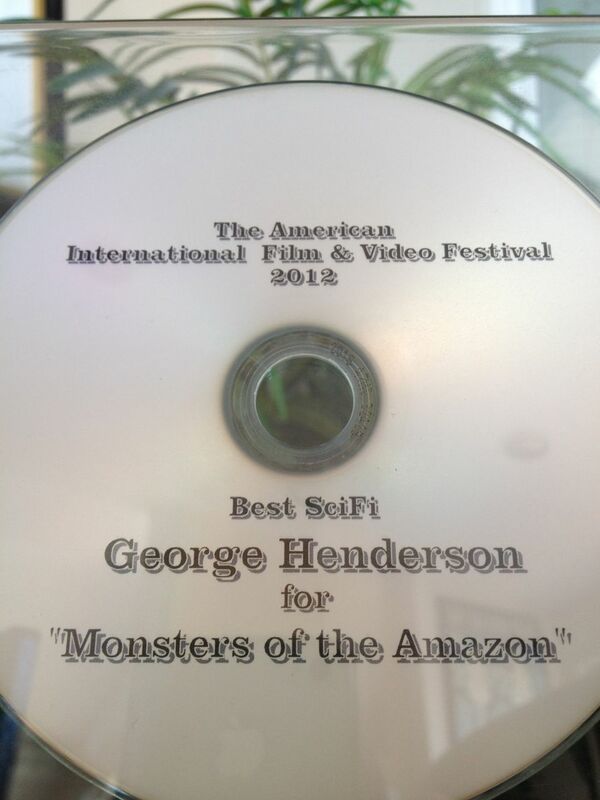 Labels: It's a great feeling when your amateur travel video wins an award! Every serious production deserves opening titles and closing credits. This short video has it all: Photos to identify the "talent"; acknowledgements of copyrighted music that was, ahem, "borrowed"; identification of the cameramen/producer/editor, copyright notice, and even a dedication. I like that this is well-paced. I especially like the captioned still photos that were used in the credits. Don't forget to take credit for your work! Be proud; take responsibility; grab all the praise you can get! I posted this video to YouTube three months ago, but didn't look at it until today. Surprised to discover that the sound is totally out of sync! So I've had to delete and re-upload. Make sure that you always check your on-line postings before providing the link to your "fans". I previously said that the video of the cooking class (History of Vacation Video #69) "really captured the spirit of our travel group." This video "really captured the fun we had during our stay at Manoir de Bellerive". Messr. & Mdme. Clavenot have sold the property, but we will always remember their hospitality, the staff, and the fabulous farewell dinner. The proprietors were totally unprepared for the ease with which we combined a lack of formality with our genuine appreciation for their efforts. When they lead a chorus of Auld Lang Syne all language barriers drop; you can feel genuine affection and a sense of regret when we drive away. I like this video. Candid clips of guests and staff enjoying their last night together. And the J-edit that places sound of the farewell song under all video used in the edit's closing moments. Most of my edited movies tend to be light and humorous. While this chapter has humorous moments, the mood shifts to sentimentality. And that was effective. Use J-cuts and L-cuts to extend the audio from adjacent clips. Don't be afraid to occasionally create a sentimental video. It's not a bad thing for your audience to know that you were sad to leave. Why Is The Video Missing When I Read Your Blog On My iPad? This exciting website is brought to you courtesy of "Blogger", Google's simple blogging service. 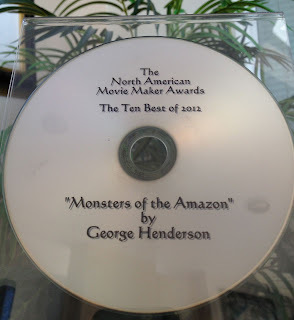 (I also use them to host my personal stories both here at at SayUncleGeorge.com. Recently I discovered that my embedded videos were not displaying properly on iPad and iPhone. You may know that Apples mobile devices do not display Flash video -- and for good reason. (Flash is a major cause of computer crashes and its processor-heavy code quickly drains other battery-powered tablets.) Their alternative is to present video using something called "HTML5". When I first started writing, Blogger's built-in writing tools inserted YouTube videos that seemed to play universally. What happened? Maybe because Google's "YouTube" app was not built-in to the latest version of the operating system for iPhone and iPad (iOS6)? Maybe because the source video that I uploaded to YouTube was a format that Apple dislikes? Maybe (music) content owners blocked it? The reason doesn't matter as much as the need to fix the problem! Each April the National Association of Broadcasters (NAB) holds its annual conference in Las Vegas. If you've never gone to NAB, it's worth the trip. Your free pass to the show floor opens a window through which a video hobbyist like myself can gawk at the world of professional production. Handle a $300,000 studio camera, sit inside a satellite truck, watch demonstrations given by world-famous cinematographers. On Tuesday evening, the Creative Pro User Group (CPUG, formerly FCPUG for Final Cut Users) holds its big annual "SuperMeet". This event is actually the real reason that I attend NAB! Tabletop demonstrations from vendors who are eager to share their excitement, followed by terrific presentations by industry superstars. It's well worth the ten dollar cost of admission, plus you have a good chance of winning something from the $84,000 grab bag of door prizes! DJI introduced their Phantom quadcopter a couple of months ago. There are lots of videos on YouTube, but I hadn't seen the hardware in person. The DJI booth was strategically placed right next to the GoPro booth at NAB 2013, and attracted a big crowd (including me). Their quadcopter was flying overhead in the Las Vegas Convention Center; it seemed remarkably stable, maneuverable, and safe (I didn't hear about any copter-crash injuries!) A GoPro Hero3 was mounted to the aircraft's undercarriage. The GoPro camera has built-in WiFi; subject to range limitations a smartphone app can provide video preview and camera controls. For less than $1,000 this quadcopter+camera would provide everything needed to torture my cats or spy on my neighbors. Not gonna' buy today, but great to know that an affordable solution exists if we ever need to shoot some aerial footage. This video was taken with my iPhone 4S. Titles and sound effects were added to the clip in Final Cut Pro X, and I used the FCPX export function to post it on YouTube. The soundtrack is a copyright-free track from YouTube. Have you ever seen a photo or video of a "steadycam" operator wearing their cumbersome eighty pound exoskeleton? Freefly Systems demonstrated their game-changer, called the Mõvi. I won't be carrying one of these on my next vacation, but it's a fascinating bit of professional technology. My next video-capable camera might be a micro-four-thirds with interchangeable lenses. These are lighter than DSLR's, use relatively large sensors, record with a variety of frame rates and resolutions, and offer both automatic and manual exposure controls. Lenses with large apertures make it possible to control depth of field and bokeh that can enhance the quality of the video that we shoot. 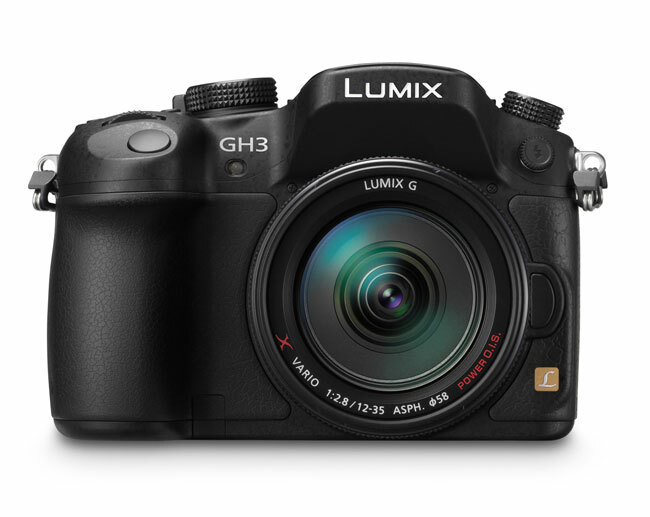 Panasonic's Lumix GH2 surprised the world last year when it won the 2012 Zacuto Shoot Out. Its video that was judged superior to a field of much more expensive cameras. The newest model, Lumix GH3 has more features but is more expensive. The GH3 has been in short supply; I finally got to handle one at Panasonic's corner of the show floor. The Panasonic camera app was running on an iPad Mini, paired to the camera's built-in WiFi. Very impressive .... the iPad functioned as a full-featured remote control with shutter & exposure controls plus a preview monitor. Blackmagic Design is perhaps the most innovative player in this industry. Known for their robust production hardware and software, they shocked us last year by introducing an aggressively-priced large-sensor high-dynamic-range cinema camera. This year the $995 Blackmagic Pocket Cinema Camera grabbed my attention! Like the Panasonic GH3 it shoots 1080p hi-def movies, using a micro-four-thirds lenses; the BPCC sensor is slightly smaller (Super16). All of Blackmagic's camera offerings promise extremely wide dynamic range, allowing us to shoot bright objects while retaining picture clarity in the shadows. Tiny and lightweight, it's not much larger than an iPhone. Of course, with either of these cameras you would need to buy a high-quality lens to get those great results. Well, that's it for my quick look at NAB 2013. If you want to learn more, just do a web search or click on one of the links that I provided. Many magazines and websites offer in-depth coverage of NAB. Those experienced writers work in the trade and have a different perspective compared to us amateurs. My next post will return to looking at amateur video, and ways that we can transform mind-numbing raw footage into something that our friends might like to watch! St. Emilion's airport was our point of departure from France. The video has nice glimpses of the picturesque city, which was a three-hour drive from Manoir de Bellerive. This video is simple and inoffensive. It could have been the end of the story, but there are two more chapters. Be careful of your project's pacing. Some viewers of the DVD were surprised that there was more content after this chapter. Music and video content should combine to retain the viewer's interest. Do not provide false clues that prematurely signal "The End". I think that this video really captures the spirit of our travel group. We are obviously having a ball with Chef Éric Barbe. The twelve minutes is probably about nine minutes too long for anyone who was not on the trip with us, but I think the raucous music helps. Those who persist are treated to a "Remedial Pan Flipping" lesson. And the staff were quite surprised when this group of "elite" tourists from America bussed their own table! I've discussed this before ... the DVD audience is not the same as the on-line audience. While it may be perfect for the travelers, this video is definitely too long for anyone who was not on the trip. Aggressive editing could probably transform this video into an exceptional Internet video, but the length needs to be less than three minutes. The music could also then be changed to something that is royalty-free. Wine tasting in France. Can it get any better than this? Let's try some reds at Chateau de Monbazillac followed by gourmet lunch at the superb Tour des Vents. Finish the day with more tasting at Domaine des Verdots. As Maurice Chevalier sings, "Ah yes ... I remember it well!" This is a simple video that nicely tells the story of our day in the Dordogne Valley. I shoot most of my video at a wide angle, so the close-ups are a nice unexpected change. If you remember to shoot some scenes with an unusual angle or perspective, that alone might give you all you need for an interesting edit.